Sanitary pads will be provided to school going girls at Rs 5 per pack by local Self Help Groups (SHGs), Maharashtra Women and Child Development Minister Pankaja Munde said on Monday. The move comes at a time when there are demands from various section of the society to reduce the Goods and Services Tax (GST) being levied on sanitary napkins. 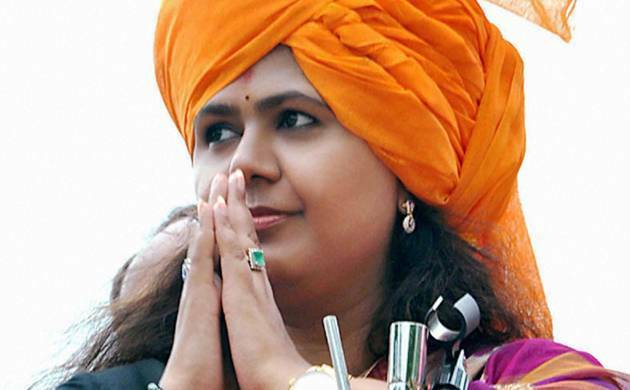 Munde said the work to provide napkins will be given to village level women self help groups. Meanwhile, NCP and MNS leaders have raised this issue with union and state finance ministry and demanded exemption of sanitary napkins from the GST. Munde said women and child development department has introduced ‘Asmita’- a scheme for school going girls in which they will be provided sanitary napkins inside their school premises. “Asmita means pride and we want girls to take care of themselves during their periods,” said Munde. She added that it was not possible for girls residing in villages to afford sanitary napkins. Munde said that not using sanitary napkins creates hygiene related issues and her department is working on to resolve the ignorance among women on the usage of the essential commodities. “Price of sanitary napkins available in market is more than Rs 40 and it was challenge before us on making it affordable. Our experience of using locally made sanitary napkins failed due to quality issues and hence we decided to subsidise them,” Munde said. “Women Self Help Groups (SHGs) will procure it from manufacturer which will be enlisted by the state government and we will provide subsidy to the SHGs. “The bidding to shortlist and enlist manufacturer of sanitary napkins is under process. Once, it is finalised, SHGs will approach them to procure napkins. “The department has identified such SHGs that are working at village level, have sound financial position and can afford to procure and provide sanitary napkins to girls studying in standard 8 to 10,” she said. “We will ensure that the price does not go beyond Rs 4 to Rs 5,” Munde added. Meanwhile, Chitra Wagh, state president of women wing of NCP and Shalini Thackeray met state finance minister Sudhir Mungantiwar and asked him to request Arun Jaitley, union finance minister to exempt sanitary napkins from GST. Munde too has written a letter to Jaitley over the issue.